Price: ~899.99CDN MSRP - Lowest Price Here! Camcorders have come a long way from the early over-the-shoulder full-sized VHS units that people used to pack around when I was a kid. Over the years they evolved from the 5Kg monstrosities to smaller Mini-VHS and 8mm units. 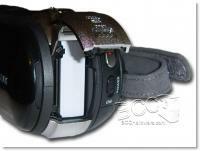 The smaller size was nice, but consumers demanded better quality so S-VHS and Hi-8 came along to quench our desire for higher quality and better resolution. 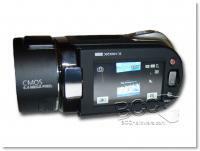 This was followed by Digital-8 and mini-DV which led into mini-DVD camcorders which have never been that popular due to their limited recording capacity. The quality of each of these camera generations improved and companies started to throw in new features like built-in digital camera capability and flash card slots. All of these were just steps in the evolutionary ladder that leads us to today's generation of camcorders. Today you can buy a full-HD camcorder with a hard drive or flash storage of some sort that offers better quality, more features and a real digital camera that is actually useful rather than those old 640x480 shots taken by the cameras of yesteryear. 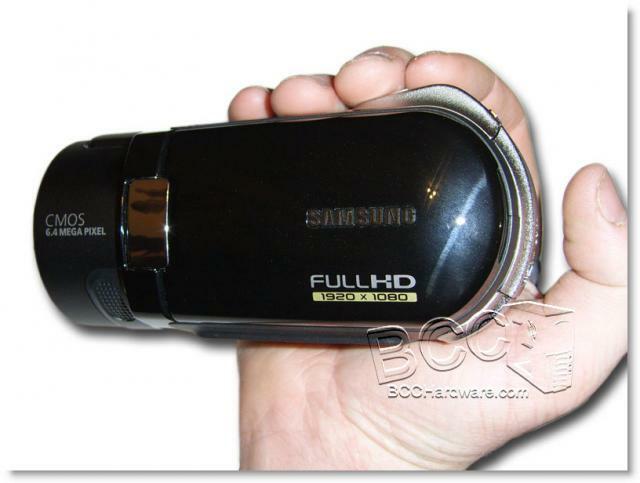 Today we are looking at Samsung's latest Full-HD Camcorder the SC-HMX20C and are going to find out if 1920x1080p is as good as we hope or if it's just a high resolution - low quality camera. I managed to use this camera for a couple of weeks, but only sporadically so I'm sure I haven't covered everything. If reader interest is high, we'll try and get this camera back for a more detailed look when we actually have a bit more time. That being said, let's jump in. 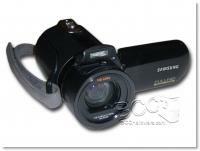 When Samsung first offered us the SC-HMX20C, there was very little information about this camera on the web and I assumed that this would be a larger "Pro-sumer" unit that would pack a hefty price tag and a large body. When the SC-HMX20C showed up, I marveled at its small size. Despite its small size, this unit is quite heavy thanks to a metal camera body. The camera is much smaller than I thought it would be but still manages to pull off a 6.4MP CMOS sensor and some flash storage to keep you recording on the go. Please click the images below for larger pictures of this unit before we carry on and talk about the overall appearance and connectivity. 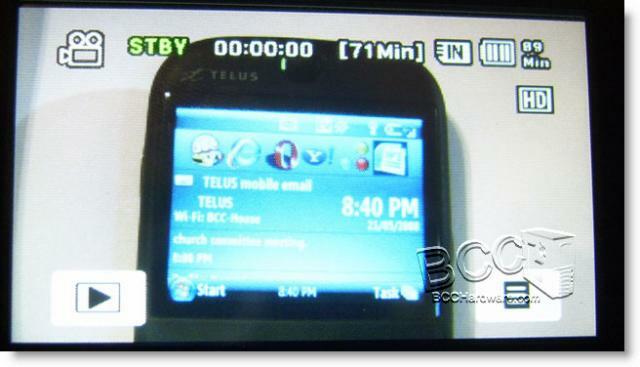 When the LCD is swung out it reveals a sliding door on the camera that hides a mini-USB connector as well as another connector for hooking up AV cables to the camcorder. Buttons under the LCD include an information display/hide button, flash control and the "Easy Q" button that puts the camera into a very simplistic mode so anyone can use it. On the LCD we have a menu button, zoom controls and a record button. 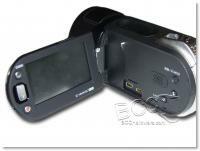 The lack of buttons on this unit is due to the touch-screen LCD that allows greater control of the camera. The back of the camera is quite plain and here you find the standard record, photo, mode and zoom controls for your finger on the top. The back also has access to the battery, SD Card slot, and DC Input jack to charge the battery. As we move around to the front you see that Samsung has included a proper flash that pops up for still picture taking when needed. It would be handy if Samsung had included a light of some sort for video recording in dark environments as well. Lastly we have a look at the left side of the camera with the LCD inverted. While the image above makes the LCD looks washed out, the quality of the image on the screen is actually very good in real life. It's not as good as a new Full-HD TV but it's not bad. The more I looked at this unit, the more I liked it as it has a very good build quality and its overall design is very well done. It fit my hand very nicely and everything was where it should be when looking for controls and ports to plug it in. 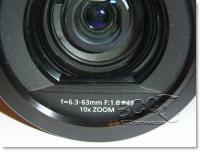 The Lens shows an F6.3 to F1.8 capability and a 10x zoom feature. By all accounts the lens is very good for a camera of this price range and the 10x optical zoom is really ample for most situations. 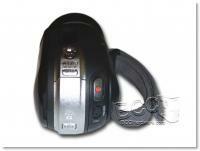 The SC-HMX20C Camcorder uses a Lithium Ion battery and supports additional storage though the use of a SD card slot. 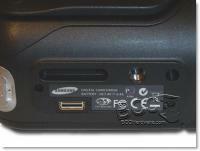 This slot supports MMC+ and SDHC cards and accepted an 8GB SDHC card with no issues. Power is toggled on by the black switch located below the "record" button on the back of the camera. The Mode button is used to select video, photo or playback. 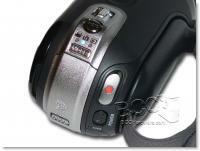 On top of the camera is the button for taking photos as well as the zoom control. The bottom of the camera is tripod ready and also has an interface for docking with the included dock. More on this on the next page.